Finding the cheapest life insurance policy that offers the right amount of coverage is at the forefront of any first time buyer’s mind. The same goes for someone who’s simply looking for a better life insurance rate. If you want to get the most affordable life insurance rates, there are several things you can do to minimize costs. I have six tips to help you find cheap life insurance, which I’ll be sharing with you in this article. It’s true there are factors you have less control over when it comes to the life insurance cost, but there’s a lot within your control too. – get quotes from multiple providers. Life insurance can be tricky to understand. Many companies analyze your health differently and also calculate risk in slightly varying ways. 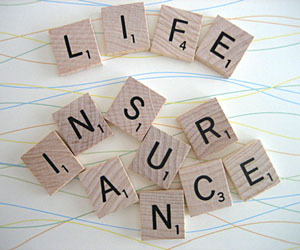 Following these steps is key to finding the low cost life insurance for you. As with most purchasing decisions, finding many options will give you an edge. Most people don’t bother obtaining multiple quotes because it’s time consuming. However, using an online quote tool is the quickest way to get quotes from several reputable insurers at one time. If your bottom line goal is to find the cheapest insurance possible, you’ll want to say no to any add on insurance or policy riders. Examples of add ons include the option to purchase child policies or more insurance at a future date without going through the medical exam process again. You can think of riders as “a la carte” options to supe up your policy. Riders can be purchased to accelerate your death benefit and pay you out for medical expenses if you have a terminal illness but haven’t passed away yet. Term conversion is another rider that gives you the option to convert your term policy to a permanent (whole life) policy. A caveat : choose your coverage wisely. If you need coverage for your kids, then it is ok to pay for the extra coverage. Also, if you’re someone who is on the fence between term and whole life coverage, the term conversion rider will give you that option down the road for a few dollars per month. There is no one size fits all method to buying life insurance, but having as few riders as possible will keep your rates low. Experts are available to help you through the process of purchasing life insurance, and many of the largest insurance companies have their own networks of agents. If you need the human touch, I would avoid one company local agents because they usually represent the interests of their own company, which essentially lowers your options. If they happen to represent the cheapest and the best life insurance company, that’s another story ! A good strategy is to seek out a financial advisor, like Edward Jones, that covers several different insurers. This way, your advisor will be more impartial even though he or she has personal preferences. Generally speaking, the younger and healthier you are, the cheaper your cost of life insurance will be. If you’re in your mid 20s and are thinking about lifestyle changes like marriage and kids, it can pay off to buy a policy now rather than waiting. The biggest reason is that you never really know how your health will change at any time. One way to receive discounts on your quoted life insurance rate is to bundle coverage with your car, home, or other insurance. Large insurers can be fairly cheap life insurance providers because they give you the most options to bundle. A good strategy to maximize your bundled discounts is to review all of your insurance at the same time and pick the company that can give you the best deal for switching. This is more work in the short term, but can pay huge dividends in the long run. Cheap life insurance can be a very bad deal if the insurer isn’t financially healthy enough to pay out when the time comes. After you go through online quotes, always check the financial reputation of the insurer so you don’t pay premiums for years only to find out the company can’t pay out any claims. A.m. best is an insurance rating agency and provides up to date information on the financial health of most life insurance companies. Use them to check on a company, especially if you haven’t heard of them or if they’ve started operations within the last 10 years.